I honestly cannot believe that Dutch prime minister Balkenende is a serious contender for the job of EU president. Scanning the foreign press, one gets the idea that Balkenende is the perfect candidate – no sworn enemies, a neutral fellow with leadership experience, and so on. Yet this is also the prime minister who presided over two failed governments, who faces politically deadly scrutiny regarding his support for the invasion of Iraq in 2003, and leader of a party that would rather see him leave. Exactly who is this Dutchman who is suddenly seen as perhaps the first president of the European Union? Balkenende was an upstart member of the Christian Democrats, the CDA, in Parliament. He rose to prominence during the 8 years of opposition in Parliament, when a parade of CDA leaders came and went – including Jaap de Hoop Scheffer, who later went on to become Secretary General of NATO. Balkenende was hoisted on the leadership shield after De Hoop Scheffer’s chaotic departure after yet another lost election for the CDA. Before that, Balkenende was known as ‘Mr Croquette’. He had been a local city councilman and the only thing he was renowned for, if you can call it that, was the local ‘Croquette Act’ of the Amstelveen City Council. (Amstelveen being a separate municipality close to Amsterdam.) Thanks to this ‘act’, the City Council were given croquettes to eat every Friday, as a sort of treat. Upon becoming MP, he was a true backbencher. 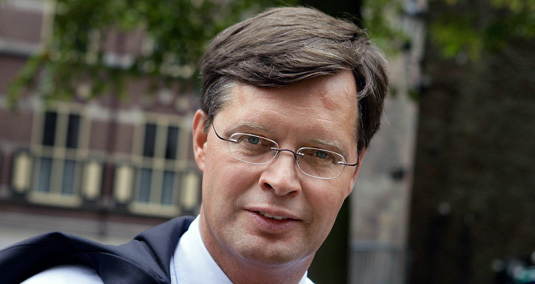 As the CDA is an alliance of Protestants and Catholics, and since Balkenende is a pragmatist, he was elected to become the political leader of the CDA over other, more outspoken candidates. He was given a smart spin doctor, Jack de Vries, as his sidekick and assistant. When the elections of 2002 came, Balkenende cut a deal with the then hugely popular political rebel Pim Fortuyn. They essentially signed a truce; Balkenende would not attack Fortuyn and vice versa during the campaign, and they would then form the new government after the elections. This worked out – the CDA won and Fortun’s party jumped from 0 to 24 seats in Parliament. Fortuyn had been killed by then, and Balkenende formed his first coalition government with Fortuyn’s party and the market liberals, the VVD. His first government lasted exactly 3 months. Internal strife within Fortuyn’s party led to chaos in the entire government. All this time, Balkenende was unable to control it. 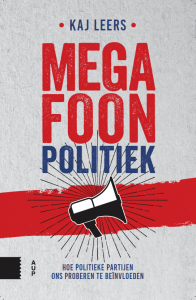 His spin doctor, Jack de Vries, assigned himself to the post of ‘special advisor’ to Fortuyn’s party – unheard of in Parliamentary history. But to no avail: Balkenende’s lacking leadership qualities resulted in the market liberals pulling the plug. Then came elections. The Social Democrats, who lost the 2002 elections, made a strong come-back only a year later, regaining the 20 seats they had lost earlier. The CDA lost 2 seats. But even with the Social Democrats winning the elections, Balkenende refused to form a centrist government with them and instead formed one with the market liberals and the social liberals of D66. The reformist government became hugely impopular and Balkenende was unable to assuage the political tensions within the coalition. It lasted a little over 3 years, and it fell thanks to the personal wrongdoing of Balkenende. During a debate on a relatively unimportant, yet politically sensitive immigration issue which lasted for 12 straight hours, he – at the end of it – made a gaffe. He admitted having done something after first denying it for 11 hours. So he had lied to Parliament, politically speaking a mortal sin. The social liberals were furious and left the government. He led a third coalition government, essentially a caretaker Cabinet, consisting of his CDA and the VVD, until the elections – but even then he managed to infuriate his only remaining coalition party. Ministers of that party wanted to resign, even though that was technically impossible as the Cabinet they had joined already technically resigned when the CDA-VVD-D66 government fell. Sensing the winds of change ahead of the elections, which showed the Social Democrats win on a softer approach to immigration issues, Balkenende distanced himself from the hard-right immigration policies of his remaining coalition partner, the VVD. First behind closed doors, and later in public, he made a U-turn in an attempt to influence the electorate. Needless to say, the VVD was very angry with him. The temperature at the weekly Cabinet meetings fell below zero. And Balkenende’s about-face failed miserably; voters saw through him and the CDA plummeted even further in the polls. It was at this time that his own party had gotten fed up with him. A coup had already been in the making when his second government unexpectedly fell and new elections had to be called. The party coup was subsequently called off by the organizers. They realized they had to work with him, there was simply no time to ditch him and organize a primary. His cunning assistant, Jack de Vries, then basically copied the strategy Karl Rove had employed during the 2004 US presidential elections, and it worked. By constantly attacking the Social Democratic leader of the opposition – current finance minister Wouter Bos – on a personal level, Balkenende secured a Pyrrhic victory. His party lost seats, but nevertheless remained the biggest party in Parliament. He formed a government with the Social Democrats and a fringe, fundamentalist Christian party. In general, a majority of the Dutch view him as a very weak leader. Opinion polls invariably point his out. Again his CDA is riding all-time lows in the polls. Not three months ago did rumours of another coup plot within the CDA resurface. Politicians who have worked with him are not impressed by his communication skills. And above all, his peers claim: he cares too much about petty politics. Nearly every issue is weighed on the question: ‘will this aid the opposition or not?’, regardless of the merits of the discussion or the arguments. He is regarded as outright clumsy and very reliant on his able assistants. His latest is Christian Schrover. You might have seen him, he is a longish man, sleek hair, rounded glasses, always bending over to check what Balkenende says to journalists. Even now, after 7 years in government, his assistants still need to help him say the right things. The National Intelligence Service, which was to independently assess whether Saddam Hussein had weapons of mass destruction, relied almost completely on US intelligence received from the American administration and through London. Even with this information, which we now know was one-sided and possibly deliberately tainted, the NIS in its final assessment was not convinced that Iraq had WMD. Mr Balkenende has through the years done everything in his power to put off the kind of inquiry taking place now. The oppositional Social Democrats made a Parliamentary investigation one of their key campaign points during the elections of 2006. Polls later showed that they won a number of seats based on this promise alone. Unfortunately, the personal attacks on the leader of the Social Democrats paid off, as said earlier, resulting in the party actually losing the election. As a result, during the coalition talks to form a new government, the Social Democrats were forced to a trade-off when Balkenende said the Parliamentary investigation had to be removed from the negotiating table. He made it a make-or-break condition and the Social Democrats caved. I should point out that whenever Balkenende is questioned on the reasons for his support for the invasion, he has changed tack in a ‘1984’ -ish way. Balkenende these days says that the main reason for invading Iraq was always a humanitarian one, to cause the downfall of a brutal dictator. Now that no WMD were found in Iraq, the WMD-motivation is suddenly no longer important. ‘Oceania is at war with Eurasia. Oceania has always been at war with Eurasia.’ Even though, of course, Oceania was at war with Eastasia until yesterday. However, at the end of 2008 a slew of new information leaks from the intelligence community and damning press reports causing public outcry finally pushed Balkenende into appointing an independent inquiry commission, headed by a former judge. But to this day he still refuses to allow a Parliamentary investigation, which would see people testify under oath, live on television. It is widely assumed in political circles that the results of the inquiry will show that Balkenende personally pushed his coalition government into supporting the Coalition of the Willing, and then lying about the reasoning why later on. Anonymous sources in press reports over the years have pointed to the suddenly strong American support for a Dutch candidate to become the Secretary General for NATO, following Balkenende’s decision to join the Coalition of the Willing. Yes, Jaap de Hoop Scheffer, Foreign Minister in the first Cabinet of Balkenende and Balkenende’s predecessor as political leader of the CDA. De Hoop Scheffer was appointed to his NATO position in December of 2003, seven months after the Iraq invasion. There is a sense of nervousness within his own party about the outcome of the inquiry, which could well spell the political end of Balkenende. Because of this, and the impopularity of Balkenende among the general public at this point, his own CDA would much rather see him go to Brussels as soon as possible, before the inquiry publishes its report – which is conveniently to happen in November or December, or weeks after the EU decides on its new president. I am Dutch, and I should therefore be proud that a Dutchman is running to become the first EU president. But I am also a European and I don’t want to see the EU damaged. Balkenende is a one man disaster area and he will be taking with him severe problems to Brussels, which will no doubt embarrass the European Union. Politically speaking the man is simply ‘damaged goods,’ but I’m not sure whether his European colleagues know this. Considering their support for his candidacy these past days, I’m afraid they don’t. Sequel 2 and RockFrog problem – can you help?